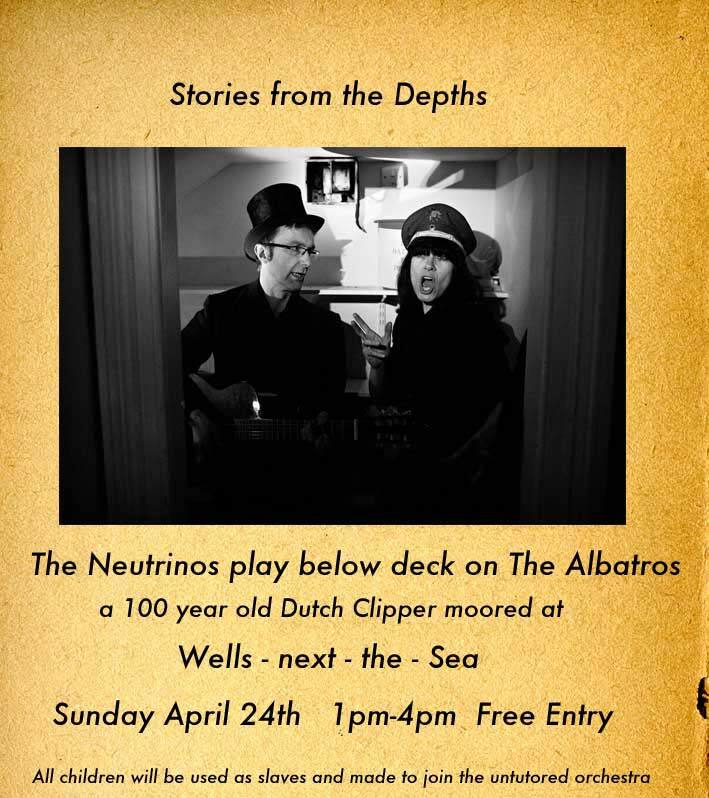 Stories and songs from the depths. 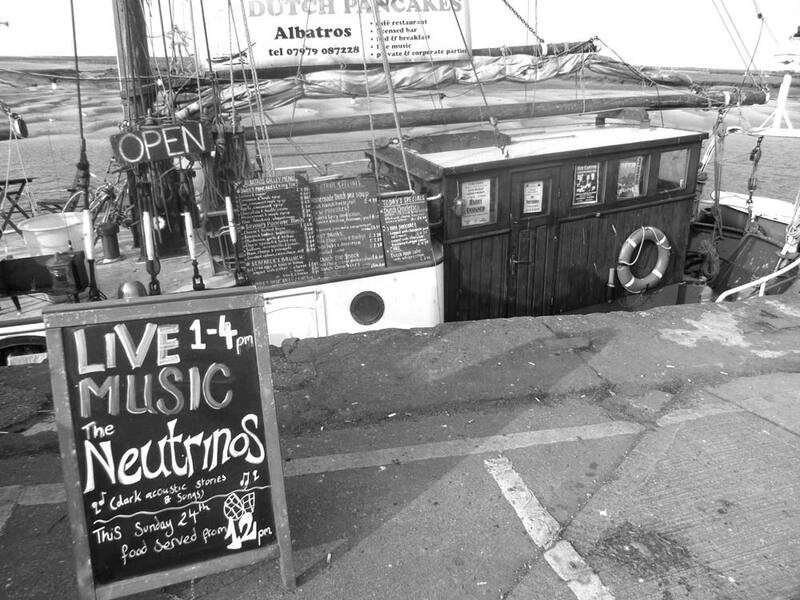 The music The Neutrinos played below deck on this steel hulled clipper would travel through the water for miles. Whales can hear the sea break on the waters edge up to 1000 miles away if the conditions are right. The music serenaded the ocean.